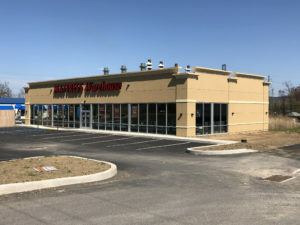 New retail building 100% leased to Mattress Warehouse. Mattress Warehouse has been relocated into this 4,500 sf building on a half acre lot. The property sits across the street from Monroe Marketplace which is anchored by Target, Best Buy, Kohl’s, Giant, Starbucks, T.J. Maxx, Bed Bath and Beyond and more.